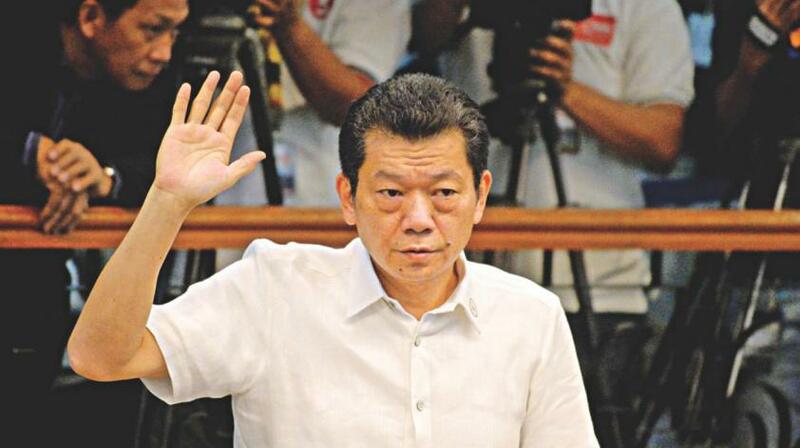 Casino junket operator Kim Wong has returned another US $4.34 million to the Anti-Money Laundering Council (AMLC), which was believed to be part of the alleged $81-million stolen funds from the Bangladesh’s central bank. AMLC Executive Director Julia Bacay-Abad confirmed during today’s resumption of the hearing of the Senate blue ribbon committee that Wong’s company, Eastern Hawaii Leisure Co. Ltd. through its lawyers, turned over the money to their office “for safekeeping” on Monday. “I understand Kim Wong returned 200 million pesos yesterday? Am I correct?” committee chair Senator Teofisto Guingona III asked. “Yesterday, your honour, Eastern Hawaii Leisure Company through its lawyers turned over the amount of 200 million pesos to the AMLC for safekeeping to be returned to the people of Bangladesh,” Abad said. Guingona then asked Wong, who was also present in the hearing, if it was part of the 450 million pesos funds that he promised to return if proven that the money was part of the alleged stolen funds from Bangladesh. “Yes, sir. It’s to fulfill my promise that within a month, I’ll return 450 million pesos,” Wong said. Wong earlier told the committee that a total of 1 billion pesos of the $81 million funds remitted to Rizal Commercial Banking Corp. (RCBC) on Jupiter Street, Makati City branch went to his company, 450 million pesos of which, he said, was debt payment to him by junket operator Shuhua Gao. He said the remaining 550 million pesos was converted into chips and played in the casino, and only more than 40 million pesos of the amount was left. 0 Response to "BB heist: Chinese trader returns $4.34m"